A highly purist appearance but with extremely flexible light effects - such is the concept of Compar pendant luminaires, that with their slender, minimalist luminaire body are ideal for architectural lighting and prestigious offices. The dimensions of the suspended profile precisely match Hi-trac tracks. It combines direct and indirect light components: two Compar modules per luminaire head are for direct lighting with high visual comfort. The innovative linear lighting technology offers various wattages and light distributions for glare-free workstation lighting in accordance with standards and per application. The integrated uplight emits diffuse light upwards. 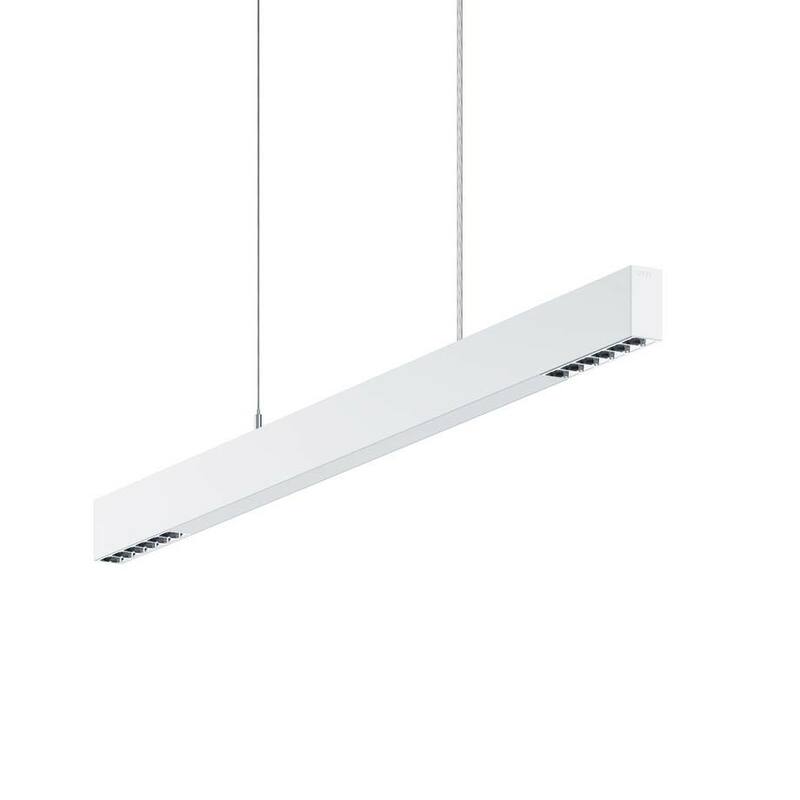 In addition to light colours from the ERCO system of luminaires, the luminaire is also available in a tunable white version: for atmospheric, dynamic ambient lighting or concepts integrating the rhythm of daylight into offices.